The rapid growth of mobile connections in emerging markets and the beneficial impact of greater connectivity have largely overshadowed the slower development arc of content and apps over the mobile Internet. Ovum’s continuing research indicates significant progress in the mobile content and apps segment in emerging markets. Changing consumption patterns, the availability of faster networks, devices that are more powerful and affordable, and new channels for content and apps are fundamentally changing the opportunities on offer. Telcos, which still dominate the segment, are increasingly faced with a struggle to retain their current position, and are fast adapting to avoid irrelevance in the emerging ecosystem. The mobile content and application segment is undergoing significant changes in emerging markets. The segment is dominated by value-added services (VASs) such as ringtones, ringback tones, wallpapers, and other information-based services, which contributed revenues of approximately $13bn in emerging markets in 2012. The ecosystem around SMS and VASs is dominated by mobile network operators (MNOs), and there is little financial incentive or room for developers to innovate. However, the dominant position occupied by emerging market MNOs is coming under increasing pressure, and operators are beginning to face the same problems that their mature market counterparts have faced in recent years. Several factors are contributing to this disruption. Consumer habits and consumption patterns are changing, with increasing awareness of, access to, and desire to take advantage of the latest apps and content services. The device landscape, which is dominated by basic and feature phones, is also changing rapidly. The growth of the mobile Internet in emerging markets is strongly correlated to the adoption of “smart” devices such as smartphones and tablets. Rising ownership of smart devices is crucial for the rise of the mobile Internet in emerging markets for one simple reason. Smartphones account for barely 30% of total device shipments in emerging markets as of end 2012. However, smartphones are the fastest growing segment within overall device sales in emerging markets and Ovum estimates that smartphone shipments will reach nearly 57% of total devices sold in emerging markets by 2017, which translates to nearly 680 million devices. As the supply chain realigns to cater to these segments, smart devices will rapidly approach a new sweet spot of $50 smartphones and $100 tablets. This increased ownership and use of smartphones and to a lesser extent tablets will be a critical driver of increased mobile Internet usage across emerging markets. The increased capabilities of these devices are eroding MNOs’ control of the content ecosystem as consumers are increasingly able to connect to the Internet and access apps and content beyond that offered by MNOs. Developer attention is shifting away from MNOs as content providers look to more attractive distribution avenues such as mobile browsers and app stores. Consumers are also increasingly going beyond MNOs’ walled gardens to browse or access the Internet through apps. As a result, developers are moving away from MNOs as they see greater opportunities through app stores driven by device manufacturers and third parties. MNOs are doing their best to counter these threats by investing in their own app stores, working with browser companies such as Opera, and trying to build their own developer communities. Despite these attempts, Ovum believes that the app economy will eventually dominate in emerging markets, and MNOs will not retain their prominent position in the ecosystem. However, operators will succeed in some segments, and will adopt more collaborative approaches with developers and device manufacturers in others. Regardless of their size or geographic reach, emerging market MNOs must embrace the changing environment. There is plenty of scope for operators to offer their own branded app stores, especially for local apps and content. However, they must not be seen as obstructing consumer access to popular content that they don’t have any core competence in themselves. If anything, MNOs can generate additional revenues by investing in telco billing assets as well as entering into revenue-sharing agreements. Ovum expects mobile entertainment services (gaming, music, and video) to grow in emerging markets. Despite the threat from device manufacturers and over-the-top players, MNOs have a significant opportunity to shape the mobile entertainment landscape in many markets. MNOs will face monetization hurdles from piracy and users’ inability to pay for expensive services, especially in content categories such as music. However, effective pricing strategies, offering localized content, and adapting services to local markets will enable operators to make the most of the growing consumption of video, music, and gaming services. Mobile utilities provide an opportunity for MNOs, content providers, and application developers to engage with emerging market subscribers, offering them access to practical content and services that will have a positive impact on their lives. From an MNO perspective, the increased traffic and revenues generated by these services and applications will strengthen the business case and return on investment for improving network coverage and expanding to rural areas. However, mobile utility services will require a different approach. M-health services will need to be rolled out through partnerships with governments or NGO health agencies, with MNOs possibly offering discount rates for bearer services such as SMS. Mobile agribusiness services will provide MNOs with a greater possibility of being able to commercialize applications due to the benefit to both small- and large-scale farmers. 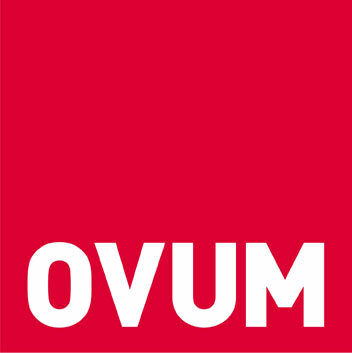 Shiv Putcha is a principal analyst in Ovum’s Consumer team. He tracks the development of the telecoms value chain in emerging markets, with a particular regional focus on India. His research covers market trends, sector regulation, and operator and vendor strategies in these important markets. Shiv has more than 10 years’ experience in the telecoms sector.